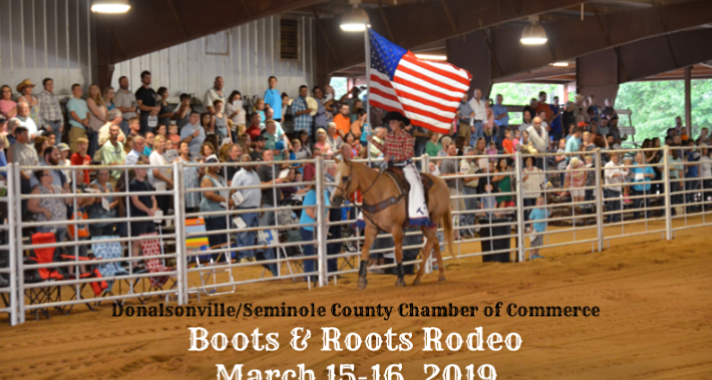 Rodeo days are around the corner! 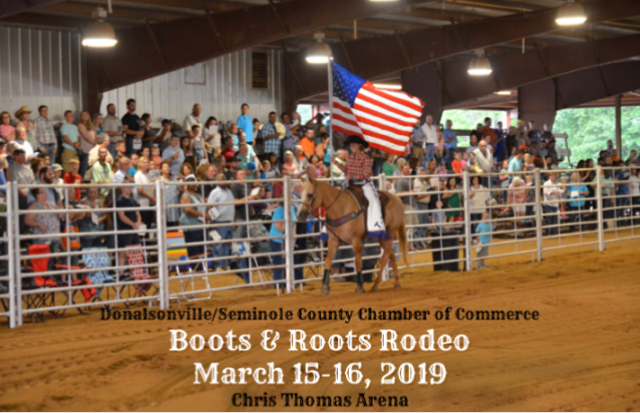 The Donalsonville/Seminole County Boots & Roots Rodeo has been set for March 15th & 16th, 2019 at the Chris Thomas Arena. Gates open at 5:30 pm & the event starts at 7:30 pm. Tickets are $10 in advance for adults ($12 at the gate), $5 for children between the ages 6-12, kids 5 and under get in free. The rodeo committee is hard at work planning for this year’s rodeo. We will have good food, good vendors including a mechanical bull, a great rodeo, and most importantly, a great time. Stay tuned for more information!